1. Select two photos to work with. I like to go through my Instagram page and choose my photos, then print them out at my local Walgreens Pharmacy. 2. 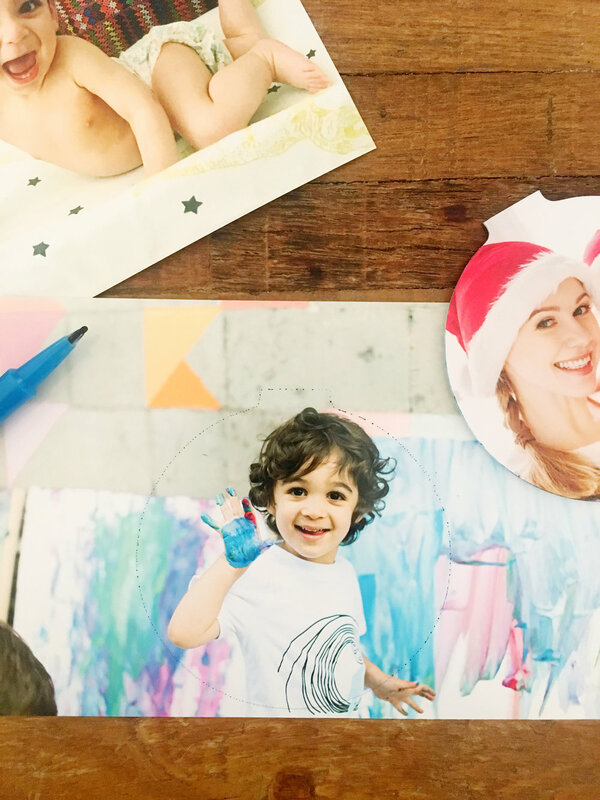 Open up the ornament, make sure to keep the picture insert (if it comes with one), that way its much easier to measure out how much to cut around your picture to make it fit nicely into the ornament. 3. 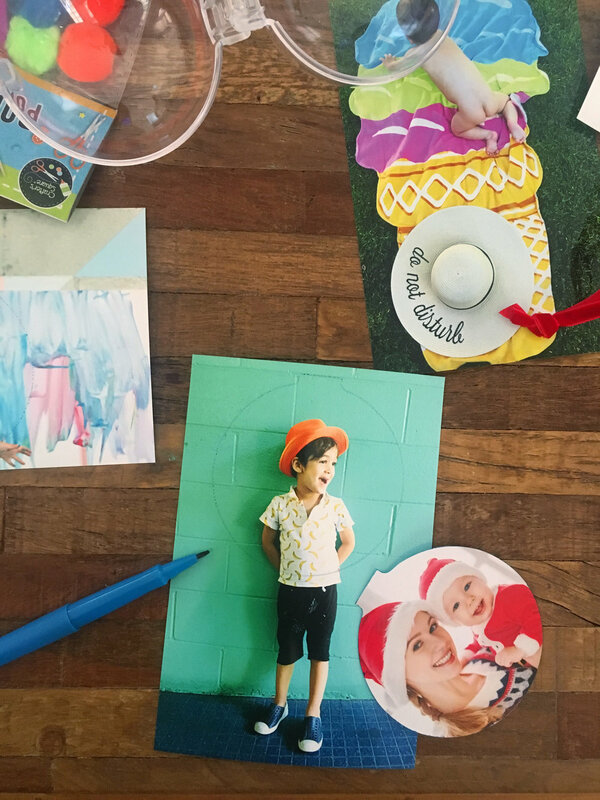 Now place the picture cutout over the area of your image that you want to be in the ornament, and simply trace around it. 5. Do the same for the second picture. 4. Next, use scissors to cut out the image using the traced line as a guide. 6. Once you have both images cut out you can move onto the next step. 7. Place both images into the ornament in the correct direction in order to be seen once the ornament is closed and hung. In our case it was back to back. 8. 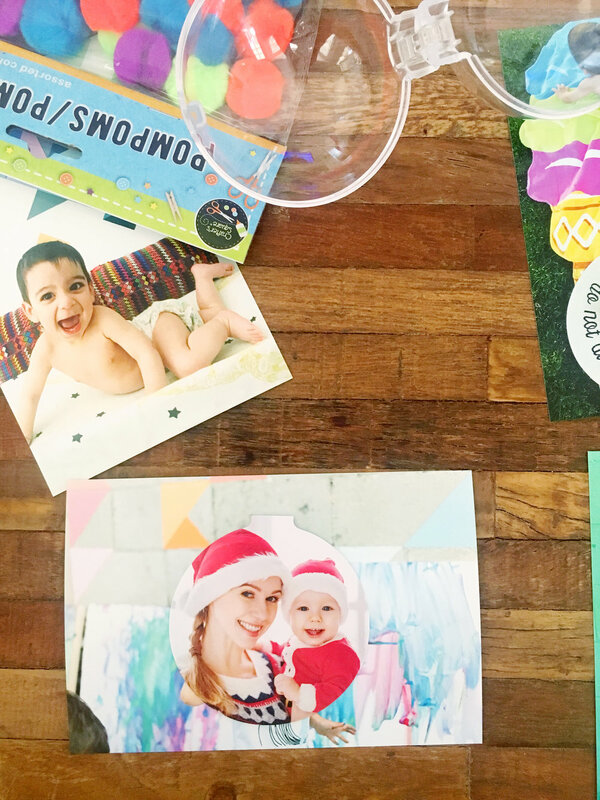 You can also fill up the ornament with fun decor like these colorful pom poms we used! We also used mini feathers for the other side of Hunter's ornament. 9. Close up the ornament and hang away!